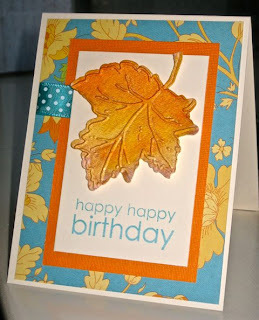 Lovely card but it doesn't look all that simple to make. love the orange and the blue card together! it looks fab.